This is one for the weekend. The beauty of this idea is its versatility. 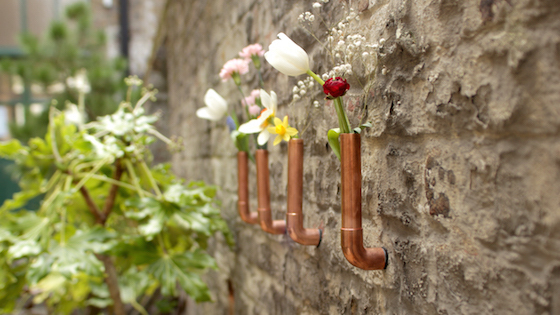 Sugru mouldable glue makes it easy to combine these gorgeous copper pipes with magnets, so you can make vases that magically pop on+off wherever you like around your home — and they look great both indoors and out! - clear lacquer spray, suitable for metal (we used this one) — this keeps your copper nice and bright and helps prevent it from tarnishing. 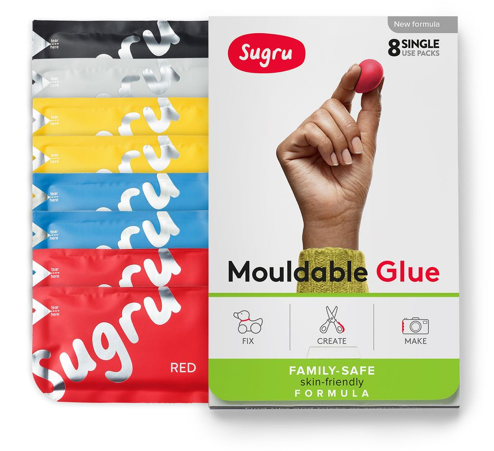 24 hours later when the Sugru has cured, your lovely copper vases will be ready to pop on+off around your home as you wish — so you can bring a little bit of the Springtime... inside! Find lots more crafty project ideas and inspiration around our site — why not start with this simple but awesome idea that helps you enjoy the evenings outside, even after dark! 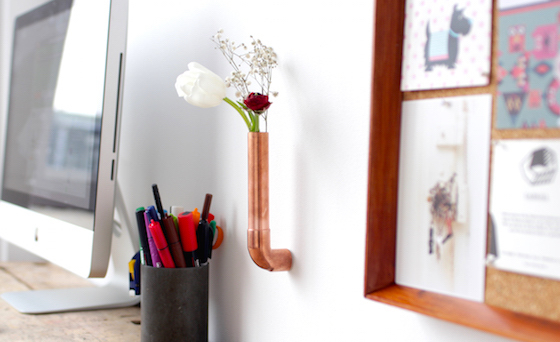 If you're looking for more copper-themed DIY projects, we've gathered some cool ideas we've spotted over on our Pinterest page — including copper pipe bookshelves, lamps, laptop stands and clothes rails! 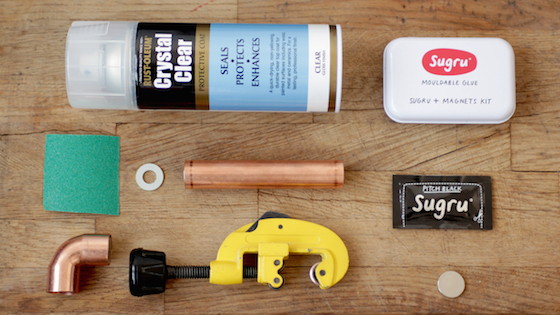 Follow Sugru's board Copper themed DIY projects on Pinterest.